This weekend, Armstrong Nursery will be out of Sat. Morning Market, so we can set up at the 17th Annual Tropiflora Nursery Fall Plant Sale. Tropiflora will have many great things on sale plus they will have other vendors from around the state, such as us, set up on the grounds too. It's a beautiful nursery, and if you haven't ever been, we urge you to go to see their specialties of Bromeliads, Tillandsias, Exotic Tropicals and more. Its a great festival with free admittance, music, food on-site and carts available for you to walk around to make your selection. Look for Armstrong Nursery booth at the back end of the property. 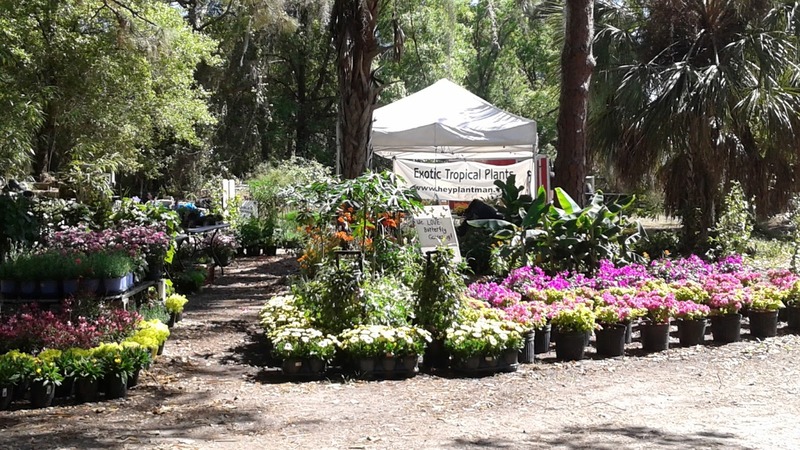 Tropiflora is easily reached from the Tampa Bay area, located on Tellavast Road in North Sarasota. Visit their site www.tropiflora, com for exact address, directions and info. We will return to Saturday Morning Market, downtown St. Pete on Sat. Nov. 4th.